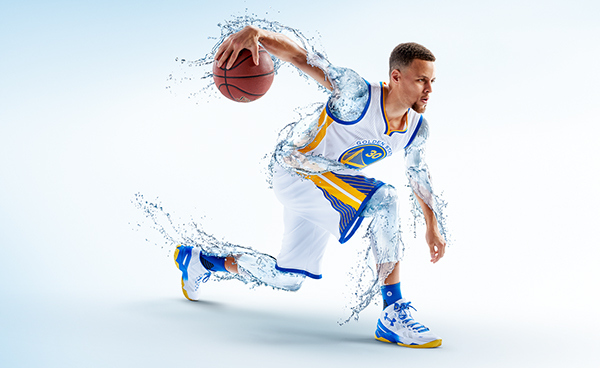 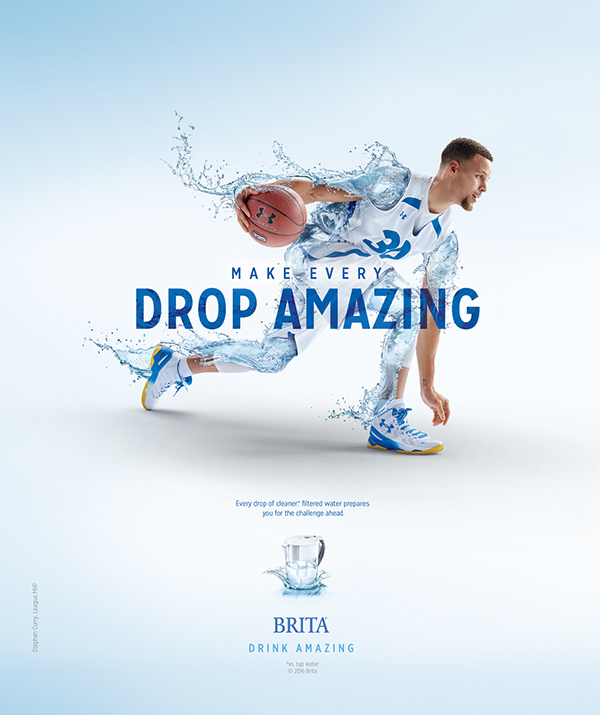 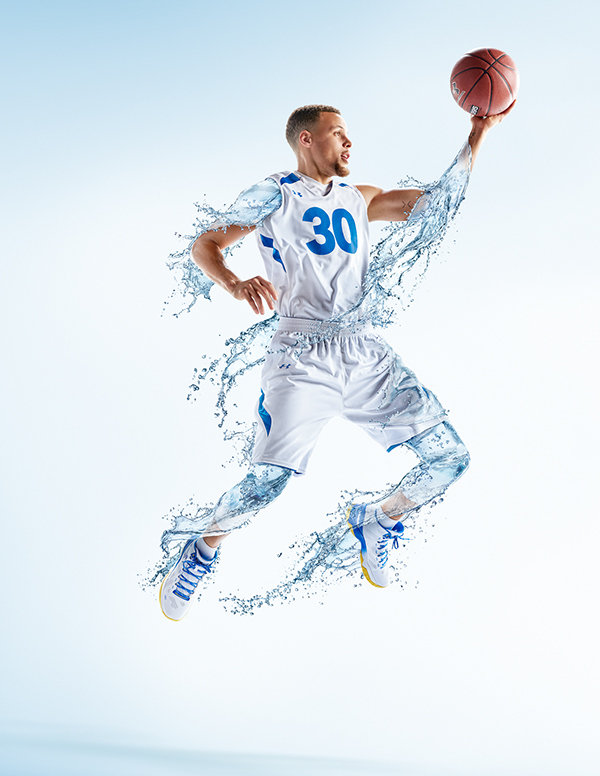 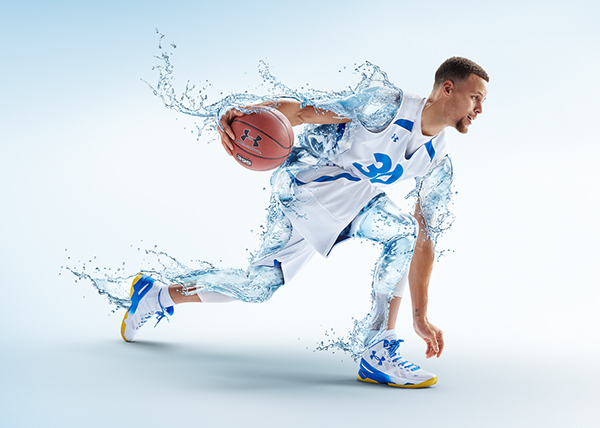 Campaign images of NBA MVP Steph Curry for Brita water. 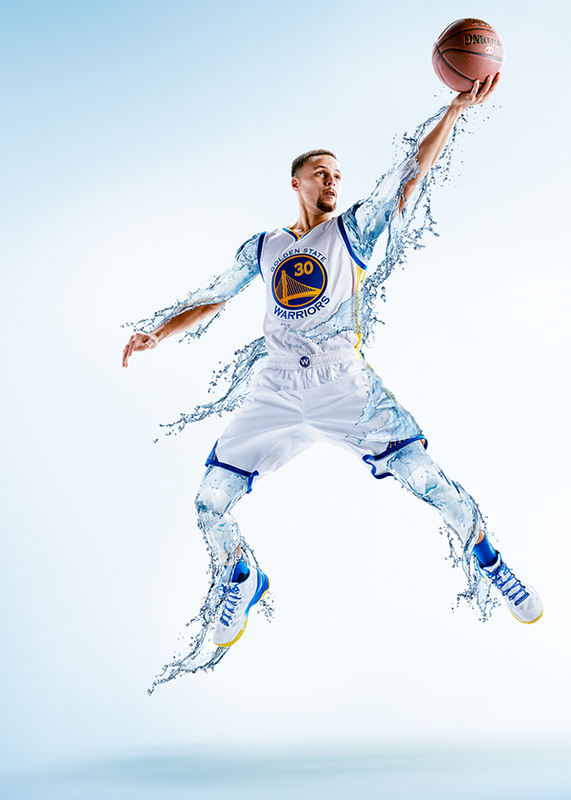 Campaign speaks to making every drop amazing. 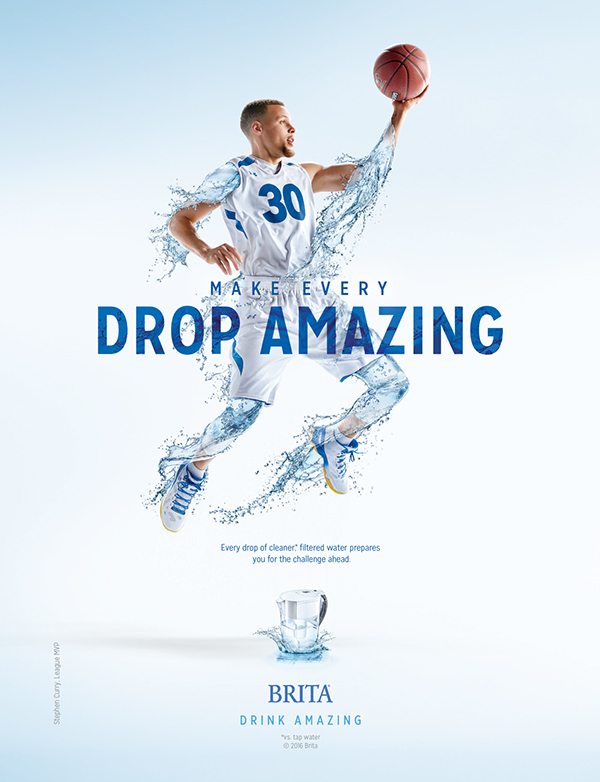 Your body is 60 percent water make every drop you drink amazing with Brita Filtered water.